Fifi Zhang is a 25-year-old pianist from the Washington DC area. She began her piano lessons at age six and made her debut with the Washington Metropolitan Philharmonic playing the Saint-Saens g minor concerto at age eleven. Fifi was the first-prize winner of the Music Teachers National Association Junior and Senior Piano Competitions in 2008 and 2010, respectively. Fifi has competed in the 2013 International Paderewski Piano Competition in Poland, 2014 Seoul International Music Competition in South Korea, 2016 Maria Canals International Piano Competition in Spain, and 2017 Maj Lind International Piano Competition in Finland. Fifi was one of five finalists in the 2009 New Orleans International Piano Competition for Young Artists. She has participated in the Banff Piano Masterclasses, Sarasota Music Festival, and Chautauqua Music Program, as well as performed in Carnegie Hall’s Weill Recital Hall as part of the Columbia Chamber Players. Fifi holds a BA in History from Columbia University and an MM in Piano Performance from Juilliard. She is currently pursuing a Professional Studies Diploma at Mannes School of Music, studying with Pavlina Dokovska. Previous teachers include Matti Raekallio, Julian Martin, and Marjorie Lee. ​Muli Yu is a rising Junior at Biola University. She is in the process of earning her Bachelor of Music degree in Piano Performance. She currently takes private lessons with Dr. Li-Shan Hung. Through Muli’s time at Biola so far, she has had the opportunities to perform for and take masterclasses with various artists including William Grant Nabore, Menahem Pressler, and Boris Berman. Over this summer, she will be going to Italy for a competition and festival at Cremona International Academy. Muli hopes to continue her piano studies in graduate school back in the east coast after graduating from Biola in 2020.Muli Yu is a rising Junior at Biola University. She is in the process of earning her Bachelor of Music degree in Piano Performance. She currently takes private lessons with Dr. Li-Shan Hung. Through Muli’s time at Biola so far, she has had the opportunities to perform for and take masterclasses with various artists including William Grant Nabore, Menahem Pressler, and Boris Berman. Over this summer, she will be going to Italy for a competition and festival at Cremona International Academy. Muli hopes to continue her piano studies in graduate school back on the east coa​st after graduating from Biola in 2020. Eric Lin and I am a graduating senior at Thomas Jefferson High School for Science and Technology. I have been studying with Dr. Lee ever since I moved to Virginia in 2012. In the past 6 years, Dr. Lee has profoundly changed my perspective on the art of playing the piano – from the way I listen to performances, to practicing techniques, to the approach I take in performing. This past year has been amazing. After a long and grueling process, I finally feel that I am beginning to understand the intricacies of building an arch and developing a more mature sound. I was fortunate enough to advance to the National Finals of MTNA this year and am excited to compete in the New York International Piano Competition and Blüthner International Piano Competition. Next year, I hope to continue my piano studies in the magnificent city of Boston while studying Computer Science at Harvard College. Risa is a graduate of Indiana University Jacobs School of Music in the studio of Andre Watts and is beginning post graduate study at University of Cincinnati College Conservatory of Music. Grace Wang is a 2018 graduate of Richard Montgomery High School's IB program in Rockville, Maryland. She has studied piano with Dr. Lee since age 10, making for seven absolutely thrilling years of growing as a musician. In that time, she has had the opportunity to perform at the Kennedy Center, Carnegie Hall, Seiji Ozawa Hall at Tanglewood, Miami's New World Center, and dozens of other stages. Among her most memorable music experiences include attending the National YoungArts Foundation's Miami program, Tanglewood Institute's summer piano program, and the International Institute for Young Musicians (twice!). Throughout high school, Grace was heavily involved in spreading music to the community through service, performing at numerous hospitals and senior living centers in the DC region. These experiences have heightened her love for piano, serving as reaffirmation that music has incredible power beyond the individual. Outside of music, she enjoyed debate, Model UN, and scientific research. Grace will attend Stanford University starting in the fall, hoping to major in Human Biology with a concentration in health policy, as well as minoring in piano performance. Want some more details on me? I have a Bachelor of Music in piano performance with minors in piano pedagogy and music theory from Oberlin Conservatory, a Master of Music in piano performance from New England Conservatory, and a Graduate Performance Diploma in piano performance, also from New England Conservatory. 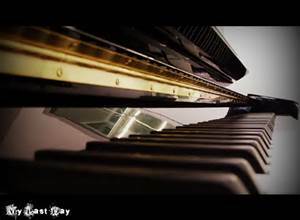 I started playing piano when I was 3 (my mom was a piano teacher) and started teaching when I was 13. I’ve been teaching for (ahem) quite a few years now! Along with teaching privately for 20+ years, I taught at the Oberlin Conservatory Community Music Piano Lab, was on the faculty of the Rappahannock Summer Music Camp, and have adjudicated a number of piano competitions in the Washington DC area. My performance experience includes solo appearances throughout the East coast and collaborative work in locations including Boston's renowned Jordan Hall with ensembles such as the Boston Philharmonic and Boston's leading new music ensemble, Callithumpian Consort. My teachers have included Dr. Marjorie Lee, Robert Shannon, and Steven Drury. Steven Beck's focus is on avant-garde piano works of the great composers of the 20th and 21st centuries. Mr. Beck collaborated personally with the late Elliott Carter, and is a pillar of the new music scene in New York City. He performs with the New York Philharmonic, the Bargemusic Series, and Speculum Musicae, the New York City Ballet, and the Mark Morris Dance Group. Lynne is a graduating senior at Thomas Jefferson High School for Science and Technology, and will be attending the University of Southern California in the fall. She has been with Dr. Lee for 5 of the 12 years she has studied piano, and is grateful for all the opportunities and knowledge that Dr. Lee and the studio has given her. She had the honor of performing with the Piedmont Symphony Orchestra and the Capital City Symphony last spring. This past summer, she attended Bowdoin International Music Festival in Maine, and studied with Julian Martin. Lynne is looking forward to continuing her music studies in college by pursuing a minor and being active in student ensembles. Bryan Ho, a graduate of Winston Churchill High School in Potomac, Maryland, entered Yale Fall 2014. Bryan Ho, member of the 2018 Yale Senior Class Council, photographed at 2018 Yale Graduation with Hillary Clinton. Bryan received a Bachelors of Science, Intensive, in Chemistry with Distinction in the Major from Yale this year! Technology. He has played piano for 12 years, of which the last three years were with Dr. Lee. His highlight of this year was the winning the VMTA Concerto Competition. He was also a finalist in this year's Protsman Classical Period Piano Competition. In the past, he has also played the violin. Aside from music, he is an avid participant in math competitions and research, and also enjoys physics and computer science. Michael Galdo is a graduate of the University of Virginia and the Catholic University of America where he earned a Masters of Music in Sacred Music. He is the Director of Sacred Music at St. Francis de Sales Parish, in Purcellville Virginia where he enjoys directing choirs, training singers, and playing the organ at several weekend Liturgies. As an active organist and teacher, Michael is passionate about training young musicians in the choir and at the keyboard. Kimberly Hou is a 2016 graduate of Columbia Univerisity and The Juilliard School. .Philena started playing piano for fun at the age of 7, and instantly fell in love with music. She often woke up early on Saturday mornings to practice for fun (and would often wake up her parents as a result). Though Philena is no longer an early bird, she holds a steadfast passion for piano and music of all types, ranging from classical to soundtrack to alternative rock. Philena credits her immense musical development to studying with Dr. Lee for six years. The experience of being in the Lee Studio not only taught her how to interpret and love music, but it also bolstered her problem-solving skills, creativity, imagination, and absolutely cemented her desire to get dogs for pets in the future. In high school, Philena had her hands full with multiple extracurriculars. She was president of two tutoring clubs—one of which she founded—and her school’s DECA chapter, Vice President of Student Government, and a Varsity swimmer. Whether Philena is planting the seeds for a new club or taking the reigns of existing ones, she is steadfastly committed to nurturing each club to its fullest extent, proactively improving them, and solving problems efficiently with her officer teams. Philena is extremely excited to be a Bulldog at Yale University as a part of Class of 2022. ​Emily Quan, 2017 Music Teachers National Association Southern Division High School Alternate, has been a student of Marjorie Lee since the age of 5. She is a graduate of Thomas Jefferson High School for Science and Technology, and will be an entering freshman at Brigham Young University this fall majoring in computer engineering. She has performed at the American Embassy in Beijing, China, and the Hungarian Embassy in Washington, D.C. In 2016 she performed the Beethoven Concerto No. 4, and participated in the Virginia MTNA Solo and Duet Division,s the YMIC Competition, the NVMTA Ensemble Competition with two duet partners, and was the third place winner in the Northern Virginia Music Teachers Association Level 4 Achievement Competition, in 2017 she won the Northern Virginia Music Teachers concerto competition with the Rachmaninoff Concerto No. 3. She was the Virginia State Winner of Music Teachers National State Competition in 2017 and was the Alternate in the Southern Division level of this competition. ​She enjoys running varsity cross country, reading, rock climbing, and building robots as part of a FIRST TEch Challenge robotics team.Aside from piano, she loves running long distances, including 5Ks, 10Ks, and half-marathons, and is captain of her cross country team. She is the president of the early-morning seminary class she attends everyday. She is also the captain of her FIRST Robotics Competition team 1123, which aside from building robots also works on repairing and updating the refitted Greyhound bus they work on. Last summer, she attended the Beaver Works Summer Institute programming drones to autonomously complete a race course. ​Described as "carefully colored" and "sensitive" by The Washington Post in November of 2015, Christopher Schmitt was also hailed as a "formidable talent" and "mature beyond his years" by The Santa Barbara News-Press, regarding his performance of Liszt's Piano Concerto No. 1 with the Music Academy of the West Festival Orchestra. Having completed his doctorate at The Juilliard School in 2016, Dr. Schmitt currently resides in Washington DC, and as pianist of the "president's Own" US Marine Chamber Orchestra, performs regularly in the White House and in concert halls across the Washington DC metropolitan area, leading a multifaceted career as chamber musician, pedagogue, and soloist. Jasmin Lee won the Michigan Concerto Competition in 2007. Jasmin is a graduate of The University of Michigan and received her Doctorate of Musical Arts from the University of Maryland as a student of Bradford Gowen. Christin Phelps Webb, an active free-lance bassoonist in California. Amanda with her husband, Jaffar Diab.